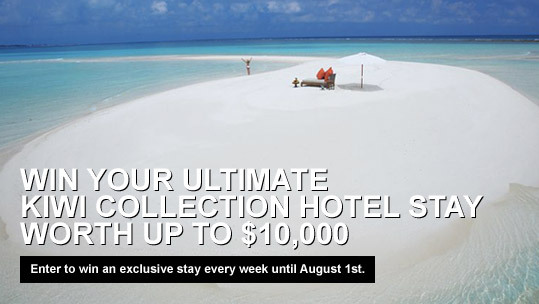 Enter to Win The Ultimate Hotel Stay Worth Up To $10,000. Every week until August 1st, the Kiwi Collection, the foremost resource for discovering and booking the world’s best hotels, will be announcing a new hotel theme. Each week, simply browse through the handpicked collection in search of your favorite hotel within that theme, and you could win a stay there — worth $10,000. Once you enter, increase your chances to win by sharing your ultimate escape with friends.